With all the rain the eastern coastline has been receiving this year you might want to find a place where you can stay high and dry, as they say. Rain doesn’t have to spoil your vacation. Our vacation rentals on Sanibel Island off the coast of southwest Florida with provide you with comfortable accommodations for your vacation no matter what time of the year you come. Come enjoy the beach excursions, rain or shine, full of shells like you’ve never seen before, remarkable wildlife parks, and irresistible historical charm. Come stay in any of our vacation rentals on Sanibel Island and you’ll be happy you did. This is the perfect place to spend your vacation with friends and family or just by yourself for some much needed time away. Enjoy the miles of white sandy beaches with more than 250 different types of seashells. 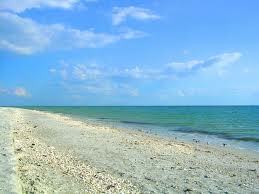 Sanibel Island is 3 miles across and 12 miles long. There’s a shopping and dining district near by where you will be able to have your pick from over 60 restaurants for your dining pleasure. You’ll be able to rent a bike then pedal the 25 miles of bike paths around the island. Sanibel Island equals casual and relaxed. Leave your suits and gowns at home and instead pack your swimsuits, tank tops, shorts and sandals. We’re definitely a “dress down” kind of place. If you enjoy fishing, you’ll like the awesome fishing right from shore as well as swimming in the warm ocean water of the Gulf of Mexico. This is your vacation so make the most of it – try all the water sports you never had the opportunity to try before. Get ready to enjoy the best vacation ever while you’re having a blast! If you’re planning to come visit Sanibel Island soon you’re going to just love the vacation rentals on Sanibel Island that we have ready and waiting for your arrival. All the luxuries you want and some you weren’t expecting will be yours when you stay in our beautiful vacation rentals on Sanibel Island. As if the gorgeous beach and crystal blue ocean isn’t enough, we also have our own outdoor swimming pool for you to enjoy during your stay with us. There’s no tide coming and going in our pool so you’ll be able to park your lounge chair and comfortably take a nap or enjoy a good book without having to keep an eye on the tide. You can enjoy tennis while you’re with us or take in some most excellent fishing. You’ll be able to take your catch back to your condo and prepare it for dinner, either in your own fully equipped kitchen or on the outdoor grills supplied. Enjoy a leisurely nature walk or hit the beach and search for that most perfect shell of them all! No matter how you spend your time here you’ll have all the comforts of home plus a whole lot more when you stay at Blind Pass Condominiums.